We have exciting news for our VIP guests! For a limited time, we will be offering Significant Savings off MSRP on our great selection of pre-owned Mercedes-Benz Executive Demos. I have directed our team to be aggressive with all offers presented to us, as we want to say YES to every offer! Let us help you get into the car of your dreams today. 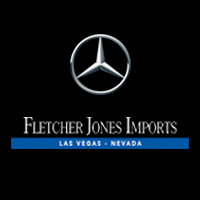 Available only to qualified customers at Fletcher Jones Imports through Mercedes-Benz Financial Services (where applicable to advertised lease) through October 31st, 2017. All lease offers are 10K miles per year with an excess mileage charge of .25 cents per mile. Advertised lease rate of 2017 GLC 300 with MSRP of $43,685 based on a gross capitalized cost of $41,229.58. Total monthly payments equal $19,110.24 on 36-month lease. $2,000 cash due at signing includes capitalized cost reduction, $1,095 acquisition fee, and first month’s lease payment of $530.84. Total payments equal $212,110.24. Residual value at lease end equals $24,900.45. Includes destination charge. Excludes title, taxes, registration, license fees, insurance, any finance charges, any emission testing charge, dealer prep. and additional options. Subject to credit approval. No security deposit required. See dealer for details. Available only to qualified customers at Fletcher Jones Imports through Mercedes-Benz Financial Services (where applicable to advertised lease) through October 31st, 2017. All lease offers are 10K miles per year with an excess mileage charge of .25 cents per mile. Advertised lease rate of 2017 GLE 350 with MSRP of $73,895 based on a gross capitalized cost of $78,356. Total monthly payments equal $40,254.48 on 36-month lease. $5,000 cash due at signing includes capitalized cost reduction, $1,095 acquisition fee, and first month’s lease payment of $1,118.18. Total payments equal $41,372.66. Residual value at lease end equals $42,011.20. Includes destination charge. Excludes title, taxes, registration, license fees, insurance, any finance charges, any emission testing charge, dealer prep. and additional options. Subject to credit approval. No security deposit required. See dealer for details.